《The Eternal Love 2》Ep16：solitary imperial concubine was thrown into the cold palace for adultery. Liu Shang offered his heart to detoxify the emperor. Late at night, eight wang ye and Liu Shang Playing chess in the study, the small sandalwood beside the incense sicha. After jointly destroying the guifei's trick, the two people get along with each other gradually, chat with the master of Liu Shang, Liu Shang can only say that they teach their skills of deduction, eight wang ye feel that every time they play chess with Liu Shang has a wonderful feeling. Songxiaotong watched the two of them talking happily Yu Hao Came in to tell her that she had not slept last night, and that she had closed the door of the palace and had had more guards. Eight wang ye ordered him according to the previous plan to do, qu xiaotong curious asked a, eight wang ye and Liu Shang smile each other did not speak, qu xiaotong can not make fun of them are really a good gay friends. Eight wang ye is aggressive, alone the imperial concubine more and more worried about his false pregnancy was exposed, helpless she already had an affair with the male pet for a month, but still did not get pregnant late, she is nervous not from the male pet furious, still say today if still do not change, tomorrow castration male pet. The night is hazy, dark floating, the imperial concubine has gone to sleep, but the emperor quietly came to the bedroom. Who expected, is waiting for him, is alone the imperial concubine and the man's pet clothes does not exactly embrace in the bed to sleep the picture. He pulled open the crystal curtain in disbelief, pulled down the curtain, the imperial concubine was awakened, saw the emperor immediately on his knees begging for mercy, he was forced. The emperor became so angry that he immediately called for a doctor, and ordered him to examine the imperial concubine. Gao taiyi knew to conceal again not to be able to, shivered ground touched a pulse, confessed the fact that the imperial concubine is false pregnant. The emperor became furious and laughed. He sat down on the edge of the bed and watched the trembling, crying so that pear flower with rain alone yan, sighed softly. Soon, eight wang ye and Liu Shang learned that dugu yan's false pregnancy was pushed into the palace by the emperor, their male pets and gao tai doctors tomorrow ask beheaded. Then kratko realized that they had designed a good scene to catch a rat in bed. Knowing that she was pregnant, Liu Shang said they sent Japanese monitors to find out that whenever she closed the palace doors and added guards to the night, she would send someone through the back door into her pet. After today's diagnosis, the emperor no longer let the imperial concubine to sleep, anxious to pregnancy she will find another way, as long as the emperor will be introduced to the imperial concubine palace, the matter will be put into place, and the news of the imperial concubine to the emperor, it is father xue, he is also the eight princes in the palace informant. 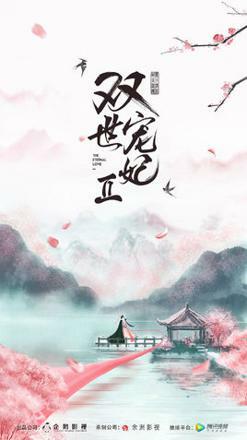 After listening to the complete plan, qu shaoer admired Liu Shang, the jealous eight wang ye found an excuse to let her down, to open the door to ask Liu Shang whether she was interested in tan er, Liu Shang so frank, eight wang ye have no alternative, only that they would not use their identity pressure, the two fair competition. As he did so, two men in black fell into the library, and one held his sword against the master of the eighth, the very general wei who had come to avenge the loss of his wife.When he left Beijing to fight against the enemy, eight wangs actually because of political disagreement, send garrison troops to wei mansion arson, resulting in his family all die in the fire, such a great revenge, have to be reported. Hearing this, Liu Shang asked general wei whether the day of the fire was Mid-Autumn festival. Five years ago, a grand dinner was held in the palace. On that day, the garrisons were called back to the palace to take care of the guards. He asked if the man who set the fire had a "secret mark" on his body, which was the identity of hong shun tong, a rebel group in the previous dynasty. In fact, the fire that day is not only one, although the investigation is three hongshuntang's anti thieves, a few days before the three arrested, only after the trial was known that the series of arson cases are imperial concubine. So far, wei knew that he had been cheated by the military. He was so angry that he wanted to die to thank him. Qu PanEr After getting the news, told big wang ye the imperial concubine was arrested for adultery, including eight wang ye exonerate assassin all with Mr. Liu Shang ties, hoped that he arouse vigilance. At this time, the bodyguard came to report the king's sudden emergency this morning, the doctors were unable to do anything, at this moment the emperor's sons were going to the palace. Qu PanEr one listens to affirm this is the decoction that took du gu yan is caused by, she asks to visit du gu yan actively in order to detoxify law. Eight wang ye and Liu Shang arrived in the palace. The emperor was lying unconscious in his bed, trembling with cold and heat. The public justice on the side of the emperor's diet is not unusual, just before has been taking your imperial concubine to serve the nourishing soup, Liu Shang in eight wang ye whispered to guess that the emperor is in the poison of dugu yan, let eight wang Yin first to find the antidote, oneself stay to try expelling poison. On the other side, Qu PanEr was the first to find dugu yan, who offered to surrender the detoxification method as a quid pro quo for her rescue. Dugu yan told her that the detoxification method was to drink the blood of her closest relatives. Then, eight wang ye and ten four ye arrived, dugu yan deliberately said a remote place, wanted to tiao huli mountain trap eight wang ye. Liu Shang knew that eight wang ye went out of the palace to find the antidote, and immediately guessed that this was a plot of Yin alone. Seeing the emperor's pain, Liu Shang even began to bleed, and Liu Shang felt extremely anxious. He remembered that the last medicine he had seen was the sepulchre. He had seen it in the land of the dead. Once it was put into use, it could be made into radiance. Seeing that time was short, Liu Shang had no other concerns. He took his blood from his heart to save the emperor, but the king saw the scene. Liu Shang took the blood from his heart with the assurance of his life, and the doctor questioned the origin of the antidote.Just after he finished speaking, the unconscious emperor was slowly awoken. The great king was so happy that he deliberately told the public that the blood of those who were not close to the drug could not be recovered. On the other hand, although he succeeded in saving his life, he was still very confused about the origin of the blood in his heart. He suspected that Liu Shang was also the blood of the emperor. Liu Shang was prepared for this. He told him to buy duck blood and make it into blood bags on the street, but he was ambushed on the way back to his hometown. A man wearing a bamboo hat gave him a knife in the street. Sandalwood sent in a panic Mo LianCheng She finally saw her heart at the last moment of life and death. She cried and kissed Mo LianCheng. With the kiss, Mo LianCheng actually opened her eyes. Mo LianCheng looked at the small sandalwood with tears and smiles in deep love, and promised in a low voice to take her back with him when the matter was over. In order to verify Liu Shang's lineage, wang took dementors and prepared a blood reserve of mojingkang. Everything is ready, big wang took Liu Shang's heart blood, who expected completely ineffective, until taking jingkang's blood elephant slowly slow down. Only then did he confirm that Liu Shang was not a royal.